Once again the weather guys are wrong. The HUGE storm is just a normal old storm. Lots of accidents though. Mistermary, you are so right about people driving like nutcases. We have lots of newcomers from other areas who think that an SUV can go anywhere in any weather at 80 miles an hour. Hard to stay out of their way! I've been driving in the snow for 54 years and it's no big deal as long as you pay attention and don't speed and have decent tires. Joyceann, why did I think that tornado season was in the spring? Do you have them year 'round? We can have tornadoes here any month of the year sad to say. While spring is most common I remember several years ago some of the worse hit around here in December. Back in 06 my whole town was almost blown away by tornadoes. It's a very scary feeling. NH has sun and 33 degrees. Forecast is for rain a couple days and more WIND. Well, at least it's not snow yet, which is unusual. Many ski areas north of here have opened, with more scheduled for this weekend. You can have all of my snow Audrakay! LOL!! High here in WI 31. Rain, sleet and then snow. High for Thanksgiving is 15. BRR. Have a HAPPY AND SAFE THANKSGIVING EVERYONE!!! 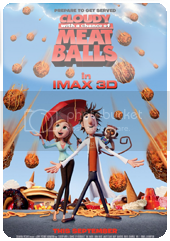 WELL, TODAY...IT'S CLOUDY WITH A CHANCE OF MEATBALLS. ACTUALLY, IT'S ONLY 31 AND IS CLOUDY...NO MEATBALLS YET! LOL! MY NIECE WOULD ABSOLUTELY BE IN HEAVEN IF THAT HAPPENED! LOL!! BUT IT IS SUPPOSED TO SNOW A LITTLE BIT...NOTHING LIKE WHAT JINDOG AND PCJULI ARE GETTING THOUGH. EVERYONE BE SAFE OUT THERE AND HAVE A DELICIOUS TIME WITH FAMILY AND FRIENDS!!! It's clear and cold now. -5 degrees on my front porch. We usually don't get this cold until January and then not for long. My dogs, who love the snow, turn around at the door and dive back in. We are going through giant bags of bird food weekly. The poor feathered critters can hardly stay alive and warm. Looks like our storm from yesterday is already approaching the Eastern states. Anyone back there see rain or snow from their window? The oven will be on all day tomorrow, which is a good thing. Fire in the fireplace too. HAPPY T'DAY GAMERS!! A WINTER WEATHER ADVISORY REMAINS IN EFFECT FROM 9 PM THIS EVENING TO 3 AM CST FRIDAY. RAIN WILL TRANSITION TO SNOW AND SLEET AFTER 11PM TONIGHT AND GRADUALLY TAPER OFF BY 3 AM FRIDAY MORNING. SECONDARY ROADS AND BRIDGES AND OVERPASSES MAY BECOME QUITE SLICK THURSDAY NIGHT. Been a wild ride here so far this afternoon. Tornado warnings earlier, severe thunderstorm warning and watches, and then the winter weather advisory and wind advisory. Warm enough this morning to have the windows open, going to be cold enough tonight for sleet freezing rain and snow. WELL, FOLKS HERE IN SW VA IT HAS BEEN IN THE UPPER 60S WITH A SUNNY SKY. BUT WE ARE LOOKING AT A HIGH TOMORROW OF 49 WITH RAIN SHOWERS. UNUSUALLY COLD HERE IN SO. ARIZONA TODAY. IT ONLY GOT UP TO 57 FOR THE HIGH, WITH PC SKIES. 28 DEGREES TODAY WITH A POSSIBILITY OF 35 FOR A HIGH...WE'RE THINKING POSITIVE...BUT IT IS ALREADY AFTER NOONTIME. LOL. WESTERLY WINDS BLOWING 10-15 MPH. WIND CHILL IS 22. BUT HEY, WE'LL TAKE IT...WE'RE NOT BURIED UNDER SNOW OR ICE! IT COULD ALWAYS BE WORSE!! AS I KNOW IT IS IN OTHER PARTS OF THE COUNTRY AND WORLD. HAVE A GR8 DAY WHEREVER YOU ARE...MAKE THE MOST OF IT!!!! WELL, STILL NO MEATBALLS. LOL!! YESTERDAY AND EARLIER TODAY, WE WERE BLESSED WITH TEMPS IN THE 50'S!!! WE HAD RAIN AND CLOUDS BUT THAT IS A BLESSING AS WE ARE SO VERY DRY HERE IN NORTHEASTERN INDIANA. ALAS, IT IS NOW IN THE 30'S AND THE LOW FOR TONIGHT WILL BE 25 DEGREES AND WINDY. WIND CHILL IN TEENS. POSSIBILITY OF SNOW IN THE FORECAST FOR THE NEXT FEW DAYS...TEMPS WILL BE IN THE 20'S AND 30'S. ~P.S. - EVERYONE BE SAFE OUT THERE...SAW SOME NASTY WEATHER ON THE NATIONAL SATELLITE MAP...WEST & EAST COASTERS BE WELL AND ALERT. Strange storm yeaterday. Salt Lake City (4000-ish ft) got a foot of snow in some places. Here in the mountains (7000 ft) 30 miles away, we got one inch of the white stuff. My son lives 7 miles from my house and he got six inches. Good for us though, as we didn't have to shovel. Now it's just **** cold!